Some 13 years ago, the National Democratic Congress (NDC) held its national conference to elect its national officers to manage the party towards election 2008. The incumbent chairman then, Dr. Yao Obed Asamoah, and his supporters, were besieged by party members at the conference. While it was alleged at the time that Dr. Obed Asamoah was even scared to move to the washroom to empty his bowels, his supporters were being pummelled and whipped for daring to toe the line different from that of the Founder, Papa Jay, as he has been affectionately called in recent times. Some of them had to seek refuge in police stations in Koforidua for safety. In brief, the NDC came out of that conference seriously battered and divided. Out of the party came another party led by Dr. Obed Asamoah and other leading members of the NDC. 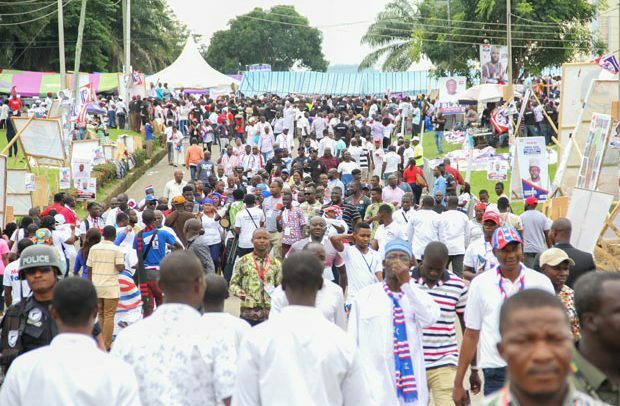 The New Patriotic Party (NPP) last weekend had a very successful conference to elect its national officers in Koforidua. The process of electing party officers did not begin last week. Polling station executives throughout the country were first elected; zonal co-ordinators were elected; constituency executives were put in place; regional executives elections followed; and finally the national officers were elected last Saturday. The good story is that the conference was not only successful but very peaceful in spite of the delegates’ decisions in choosing contestants of their choices. The figures from the conference regarding the positions of national chairman indicate that it was a close race, yet the supporters of the two leading contestants conducted themselves in a manner that depicts the deepening of democracy in the internal affairs of the NPP. Obviously, the NDC was expecting some form of violence and fights among the NPP delegates and party supporters so that they could latch on it and make so much political propaganda out of it. When they had none, the politics turned to the filth that were generated at the venue of the conference less than 12 hours of an activity that ended on Sunday dawn. The issue further moved to the elected chairman, Mr. Freddie Blay, before the elections simply announced a policy by the party for the party going forward. The goodwill messages churned out at the NPP Conference by local political party representatives were normal and predictable. It is normal and acceptable for political opponents to talk about governance issues confronting the nation. However, in my view, the most important goodwill message to the conference was the message from the representative of the Conservative Party in the United Kingdom (UK). The NPP is a conservative party that believes in the political philosophy as pertains in the UK, the Republican Party in the USA and the Christian Democratic Party (CDU) in Germany. Conservatism, as an ideology, accepts and works for political power in the belief that appropriate arrangements for power would ensure good treatment for everyone. The NPP believes in this good treatment for everyone once it has power. However, it is also important to take a critical look at the goodwill message from Dr. John Hayward. The processes of electing leaders for the party are in themselves very transparent as long as the constitution of the party is concerned. Obviously, Hayward was talking about the opulent and flamboyant campaigns and the amount of monies spent in seeking elected party positions. This observation by Hayward is not a phenomenon known to only the NPP. In fact, all the political parties operating in the second half of the Fourth Republican democratic dispensation are confronted with what has become known as “moneycracy”. Albeit it is accepted that the environment and mindset of the British voter is completely different from that of the Ghanaian voter, the principle underlining all opportunities to elect people to man any position in any organization is to choose the best, hoping that they will meet the social, economic and political needs of the people. In his view as a conservative party person, the flamboyant and expensive posters and billboards do not amount to prudent use of resources. He cautioned that ‘voters liked parties which focused on voters because they were less keen on the internal processes and urged the NPP to reach out more to the people’. I have run two elections in the NPP. First, as the First Vice Chairman of the NPP in the Western Region in 2009, and as the Parliamentary Candidate for the Ahanta West Constituency in 2016. In both situations, every contestant spent money. The contestant will have to reach out to the delegates wherever they might be as individuals or as groups. Travelling to and fro requires money just as offering travel and transport (T&T) to the delegates who might have travelled from their places of abode to places of meeting to have first-hand knowledge of the contestant and vice versa and more importantly listen to the message of the person seeking his or her vote. It also offers the delegate the opportunity to make well-informed assessment of all the contestants as to which of them can best serve his or her interest and the general interest of the party. Sadly, what should ordinarily be a normal approach to political campaigning, has turned to be a money-making venture for the delegates. Today, it seems the best candidate without money cannot win an election; rather the one who can pay the highest can easily win. Even though it is not always the case, the best candidates are also compelled to look for money because their other contestants for the positions are ready to pay to get elected. I have friends from the NDC who also complain about the growing consideration of ‘who pays what’ as a basis for voting a particular candidate to an elected position. Their just-ended constituency elections, according to them, were very expensive for the contestants. My beef is that, gradually, it is those whose pockets are deep who would be elected to party positions no matter how incompetent they are. This will not end there; the next stage of the NPP internal elections will be the parliamentary primaries. I am sure that there are interested people who are lacing their boots to unseat their sitting members of parliament in the next primaries because the MPs are not performing efficiently as expected. I have no right; neither has anyone got the right to curtail the political ambition of any citizen of this land who aspires to the highest political position with respect to the laws in Ghana. However, if the considerations for electing people to such positions are based on monetary and material considerations, it is the nation that will suffer. That is why “moneycracy” in our democracy must be seriously looked at.